Plus, why the film's director immediately knew she had to make this documentary after visiting the school. Imagine being forced to flee your home for fear of persecution, growing up in a refugee camp, and then being thrust into a school setting for the first time in your life in a country where you don’t speak the language and don’t understand the culture. That is the experience for the hundreds of students attending Nahed Chapman New American Academy (NCNAA) in the St. Louis Public School District. This two-year school eases the transition for immigrant and refugee students by prioritizing English instruction and training faculty and staff so they are prepared to help students manage their trauma. 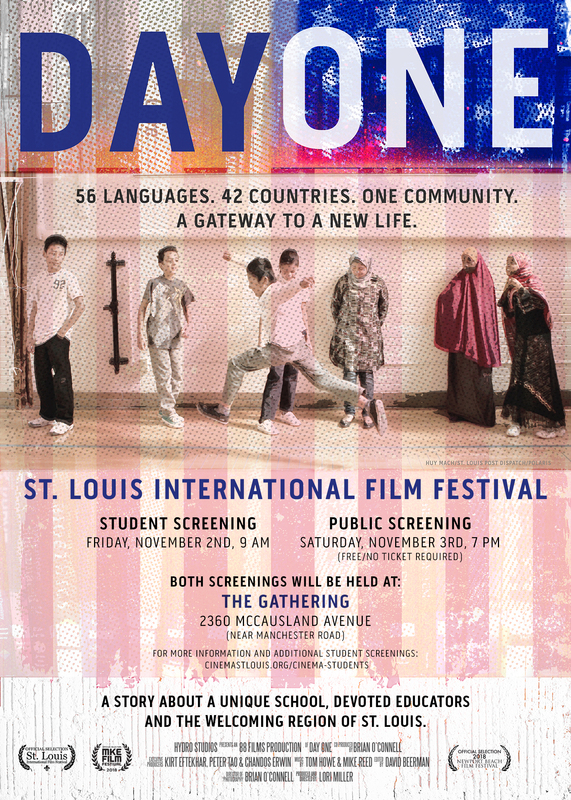 St. Louis filmgoers will have the opportunity to see this school up close at the free screening of Day One, a documentary that features the students and staff at NCNAA. The film screening, which is part of the St. Louis International Film Festival, takes place on November 3 at 7 p.m. at The Gathering. When Miller learned about the school from Tao, she wasn’t entirely convinced it would make for a great story. “I was hesitant and skeptical because I didn’t know the school, and it honestly sounded a little bit dry to me,” she says.